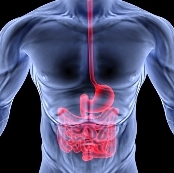 Highrisk Life Insurance Agency specializes in Life Insurance Approval with Barretts Esophagus! Having trouble finding affordable life insurance with Barrett’s Esophagus? Can I Qualify for Life Insurance if I have Barrett’s Esophagus? Yes, most individuals with Barrett’s Esophagus will be able to qualify for traditional life insurance, the type of insurance which requires a medical exam. Best Case Scenario – If Barrett’s Esophagus is detected early, abnormal cell growth does not progress, and symptoms of difficulty of breathing and vomiting controlled, then the best rating one can get is at “Standard” rating. Other cases that may get the best rating would be those cases that underwent surgery to remove the abnormal cell and biopsy result shows no recurrence. Click here for quote at “Standard”. Moderate Case – Those cases of Barrett’s Esophagus with symptoms of chronic pain on swallowing or frequent regurgitation, but whose esophagogastroduodenoscopy shows no malignancy may still qualify for a “Mild Substandard” health class. Click here for a quote at “Mild Substandard”. How many years have you been diagnosed with Barrett’s Esophagus? Barrett’s Esophagus can be a serious, life threatening condition that is why early detection and diagnosis is very crucial. Early management may ensure delay of progression if total cure is not possible. Longevity of the condition without proper treatment like surgery may get you a higher rating or in worst conditions a decline. Symptoms such as progressing difficulty of swallowing or vomiting may be flare signs of a worsening condition. The best rating you can possibly get is at “Mild Substandard”. Did you undergo and surgical procedure? The record of surgery and/or biopsy will give the insurance company an idea of your actual condition. This may be the basis for the rating that is applicable for you, whether you qualify for a “Standard” or a “Mild Substandard” health class. Do you have regular check-ups with your oncologist? Regular visits to your oncologist may mean that your condition is controlled and life insurance companies see this as a good sign. Medical evaluations and the progress of your condition may also be helpful to determine the appropriate rating class. A recent esophagogastroduodenoscopy or endoscopy exam will be the best way to assess your actual condition. This may also confirm your compliance with your physician’s management. Barrett’s Esophagus is one of the types of esophageal cancer that is rare, but has a high risk for fatal malignancy. It is characterized by an abnormal growth (metaplasia) of cells in the lower end esophagus. Most common causes associated with Barrett’s Esophagus include excessive alcohol intake, smoking, fungal toxins, opiate exposure, long-term intake of hot tea and ingestion of nitrates or lye. Physical injury can also be caused by radiation, reflux esophagitis or chronic esophageal spasm. Earliest symptoms of Barrett’s Esophagus include chronic and progressive difficulty of swallowing and marked weight loss. Others include pain on swallowing, throat pain that radiates to the chest or back, frequent vomiting or regurgitation, and aspiration pneumonia.